Color blocking is very trendy now, and many designers choose this idea for their projects. 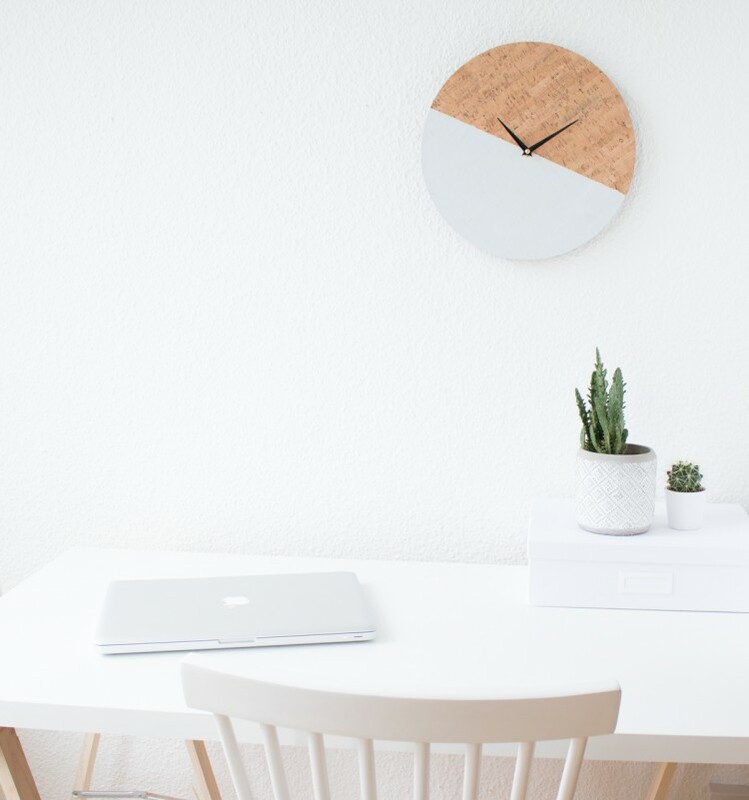 Be in trend creating this clock! 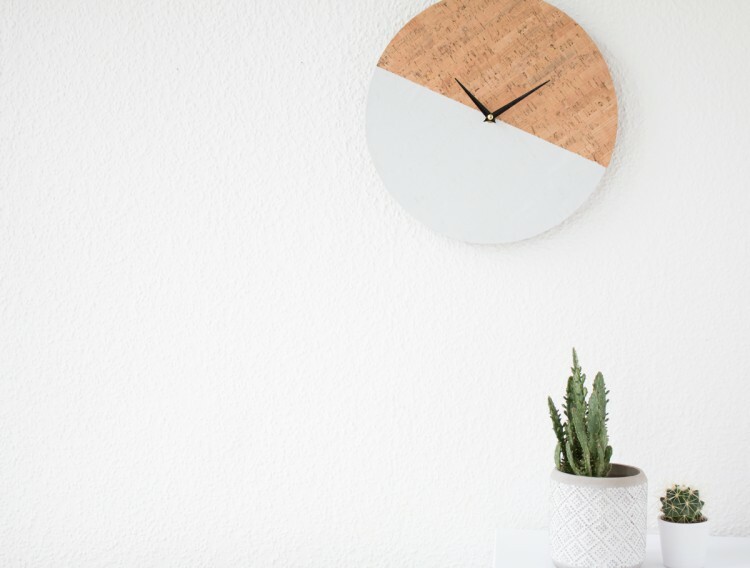 You’ll need a wall clock with smooth surface and removable mechanism, cork, acrylic paints, glue, masking tape, a brush, a pencil and scissors. First, remove the mechanism carefully. 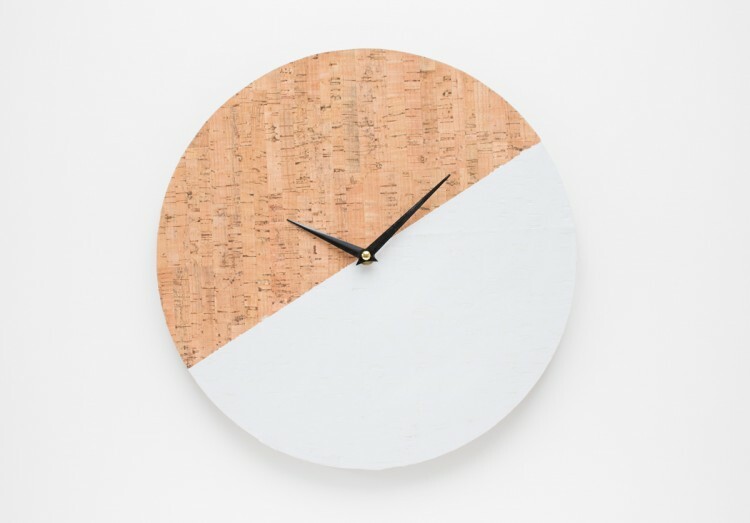 Next, put the clock onto cork and outline it carefully. 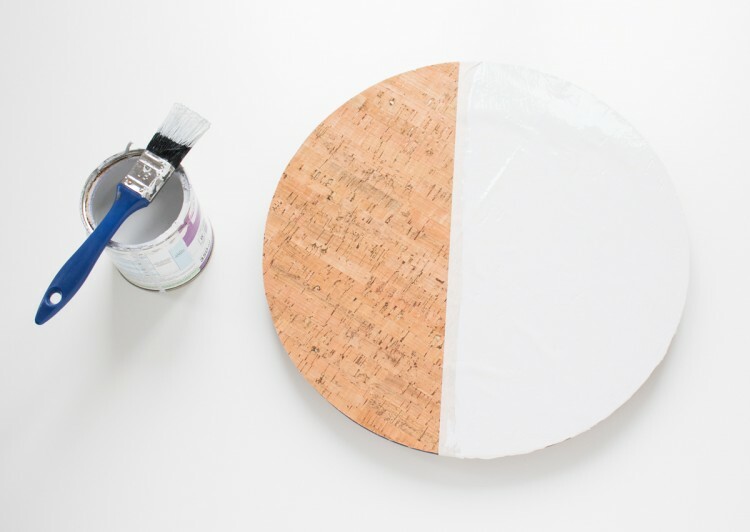 Cut out the circle and glue it onto the clock, then press firmly and let it dry for some time. 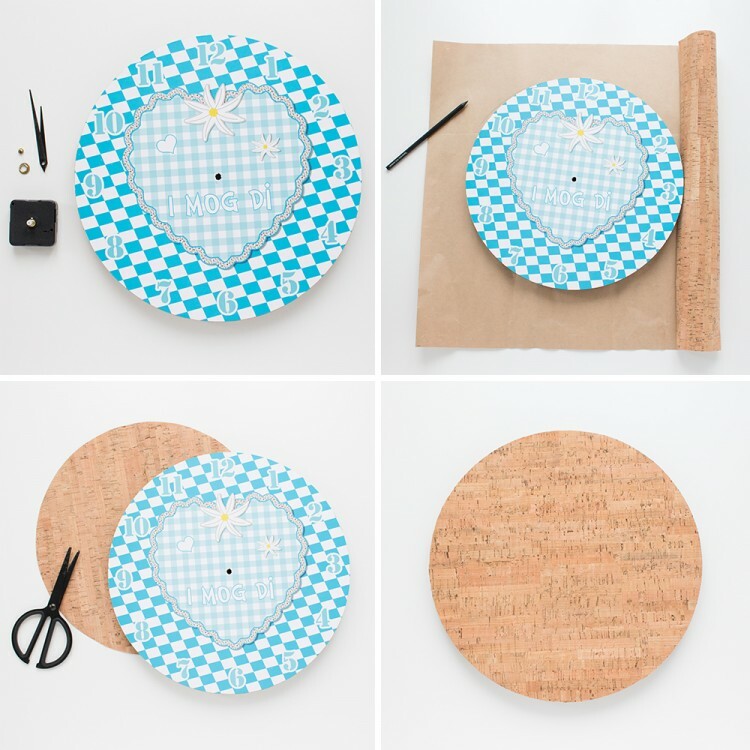 Now using the masking tape cover the clock to create a design you want – here it’s one half of the watch. Now paint one half of the clock and let dry for about an hour. Keep reading the tutorial here.